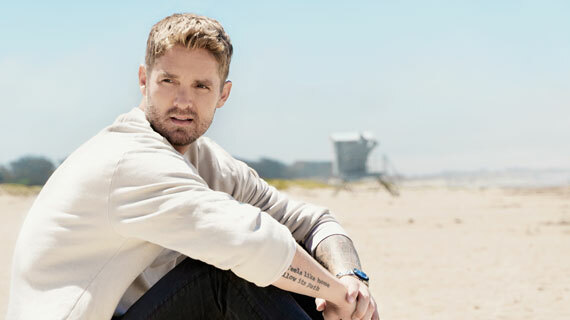 Southern Utah University presents Brett Young, fresh off the release of his newest album, in concert on Thursday, March 21, at 7:30 p.m. at the America First Event Center. Tickets can be purchased online at tbirdtickets.com, by calling (435) 586-7872 or at the Thunderbird Ticket Office. After nearly a decade of under-the-radar work, Young made his PLATINUM-certified entrance in 2016 with the restless romance of his #1 hit, “Sleep Without You,” then proceeded to own the top of the charts with three more singles from his self-titled PLATINUM-album debut. The tender “In Case You Didn’t Know” spent two weeks at #1, selling over 3 million copies and becoming the second-most purchased/streamed country song of 2017, followed by the threeweek #1 “Like I Loved You” and the heart-rending “Mercy” – another pair of PLATINUMcertified smashes. The title track, “Ticket to L.A.,” follows a similar emotional flight plan, opening the project with a laid-back combo of country charm and left-coast cool. The plot twister may not trace the contours of Young’s own relationship, per se, but it does reveal his renewed faith in love, imagining a couple who fall head over heels while waiting out a delay at New York’s JFK airport. “What made me excited was when we decided he wasn’t even on her flight, but he never told her that the whole time,” Young explains, a mischievous grin betraying his usual calm-and collected demeanor. Revisiting his signature honesty, Young goes on to lead fans through a soulful country-pop ballad, a hometown-to-hit maker look in the rearview at his path to stardom which finds him teaming up to write and sing “Chapters” with one of his inspirations Gavin DeGraw. Naming the album Ticket to L.A. was no accident, Young explains, saying that for him it represents a connection to his roots which no amount of distance can break. For more information about the show, call SUU Alumni & Community Relations at (435) 586-7777.